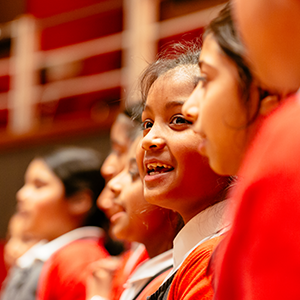 On Tuesday 27th November the ‘All Kinds of Everything’ project, organised by Titan and the CBSO came to a close with the final world premiere performance at Symphony Hall, Birmingham. 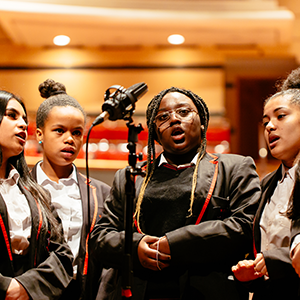 This project, funded by Arts Council England through their Grant for the Arts programme, gave students from 4 primary schools and 3 secondary schools across the Titan network the opportunity to create original music and songs, and perform it live at this magnificent venue. Congratulations to all the students that took part. Also many thanks to all the school staff involved in supporting the project and finally to the composers, musicians and staff at the CBSO. 2018 would have been the 100th birthday of Leonard Bernstein, therefore it was decided that this project would be the perfect way to celebrate his music. Students were asked to draw inspiration from his famous musical ‘On the Town’. The 1944 Broadway hit follows the adventures of three sailors on 24 hour shore-leave in New York City and gave us classic songs such as ‘New York, New York’ and ‘Lonely Town’. Inspired by the musical and by the diversity and inclusivity of our network, students focused on their locality and their thoughts of our city. The sights, sounds and opportunities in Birmingham helped them to create soundscapes in the form of an amazing piece of music or a song which centred on how they would spend 24 hours in the city. Workshops for the project began in May 2018 with primary school pupils focusing on lyrics and creating songs, whilst secondary school instrumentalists focused on composition and improvisation activities. The musical ideas generated by each school during these workshops were then developed by composer Richard Barnard into a fully formed piece of music with support from primary lead artist Bryony Morrison, vocal lead Jon Laird and conductor Jaume Santonja Espinós and an assortment of CBSO musicians. 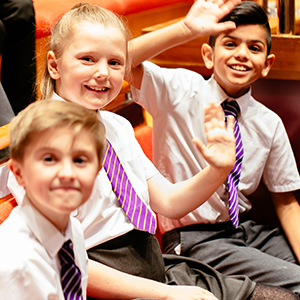 Throughout the Autumn term, CBSO musicians worked with students to learn all of the new pieces, providing vocal workshops, instrumental sectional rehearsals and full orchestral rehearsals in readiness for the world premiere on Tuesday 27th November. 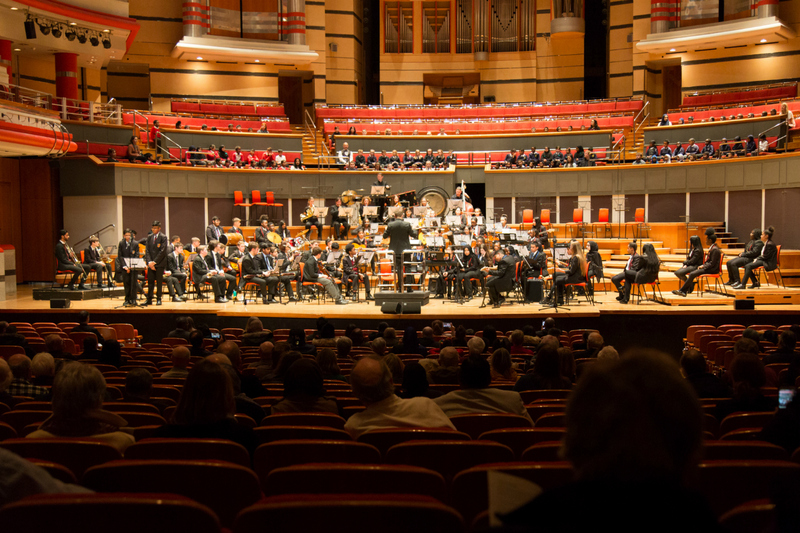 174 students from participating schools gathered at Symphony Hall, Birmingham on Tuesday 27th ahead of the final performance. Taking to the stage in Symphony Hall, students were greeted by their family, friends and teachers who had all arrived to support them. 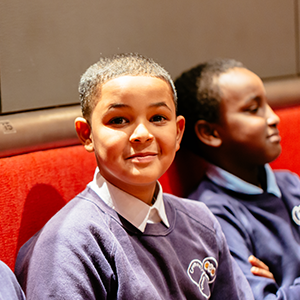 We would also like to take this opportunity to thank staff and musicians at the CBSO for their involvement in the project and their support in providing a fun and inspiring learning environment that enabled students to develop their musical capabilities and most importantly their self-esteem and confidence. ‘Birmingham – the people are ace. Builders, doctors , artists all on one team.